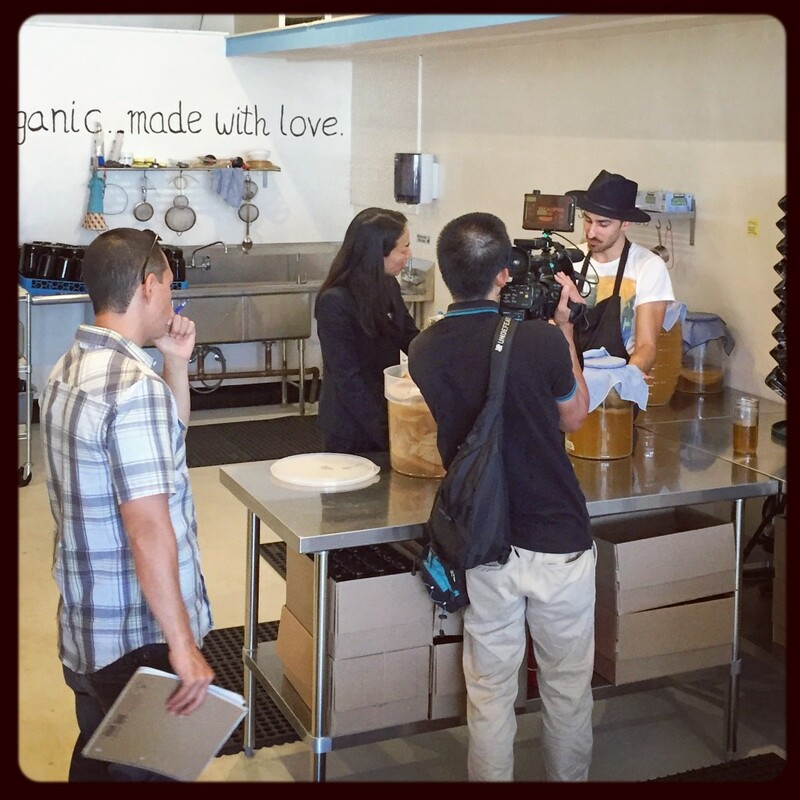 Fine Feathers Kombucha on Japanese television - Fine Feathers Kombucha Co. 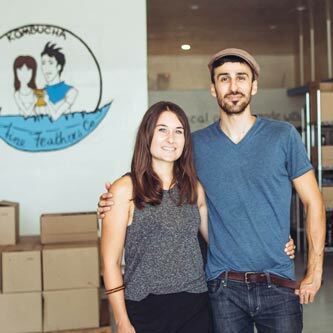 While preparing for our kombucha-making workshop (see previous post below), the Japanese-based television company Fuji News Network contacted us out of the blue and requested to film our workshop and do an interview about kombucha and the process. Apparently, in Japan, “kombu-cha” refers to a tea made from kelp. The Japanese call kombucha “kocha kinoko” meaning “tea fungus” (fungus, of course, being a misnomer). The filming crew and reporter visited our facility in Long Beach and filmed for about an hour in late June, while we talked about the process, the ingredients, and different teas used in the production. The reporter, Ikuko Yuge, even asked if she can eat some of the SCOBY cultures. Pleasantly excited at the request, Jay provided some and shared a probiotic snack with her. While the video is in Japanese (our interviews are overdubbed by a translator), it still makes for an entertaining watch. Entertaining, especially with the lower left part of the screen showing the reactions of the studio anchors reacting to the SCOBY-eating part of the segment.